Once You Go 'Vac' You never go back! Shouldn't a sensor come free with your vacuum instruments? We feel the same way! Look for products with this gold icon! Have confidence in vacuum instrument purchase! 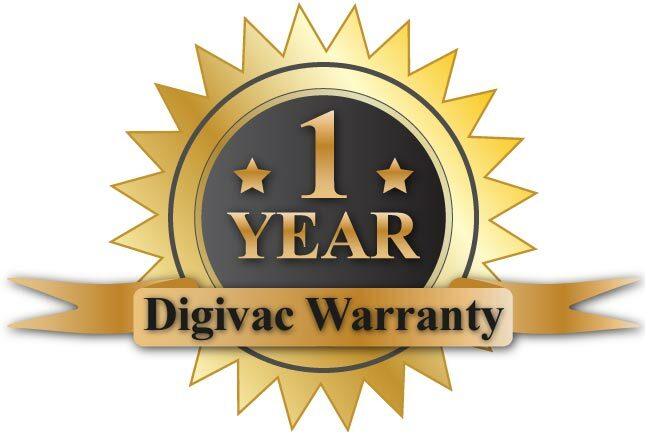 Digivac products come with a 1 year standard warranty. All vacuum instruments that leave the DigiVac factory are calibrated under real vacuum against a NIST standard. See why this matters!